Saturday Groove: Beach Yoga with Sarah Allison! 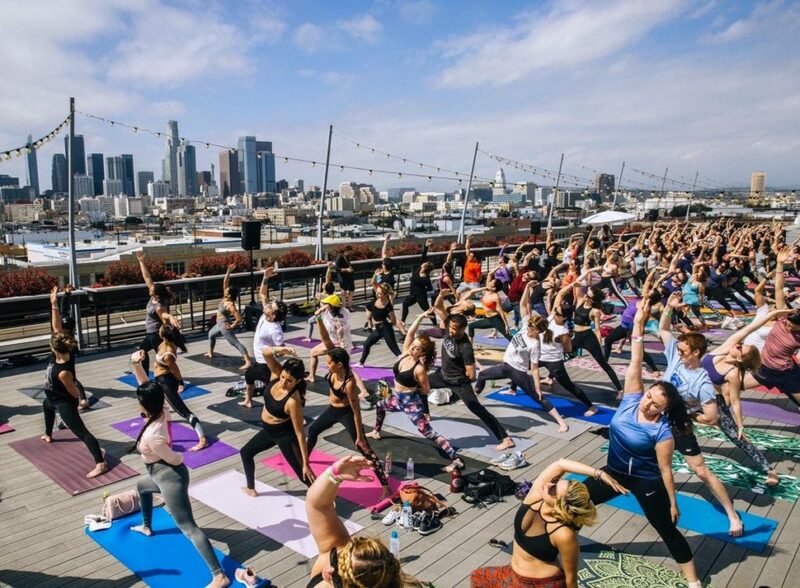 Join us and 100 + of our local community, travelers, and friends practicing yoga together. It is a gorgeous, iconic and peaceful environment that is the home to many magical yoga happenings! You can expect an all-levels, athletic class set to fun and inspiring beats. We’ll end class with a dance party while dipping your toes in the ocean! Sarah Allison will guide this class and she is a radiant teacher. Her creative force is to give back to the community, foster energy from Mother Earth and spread knowledge about caring for oneself and our environment. She fuses her brilliance of long-time student of yoga, her love of dance and the richness of yoga wisdom into a beautiful, accessible yoga class. This is a fun, peaceful and life-enriching experience. We supply headphones so you can listen to the teacher + to curated music. We can’t wait to share this with you. This class sells out on nice weekends – please sign up in advance to join us! We can’t wait to share the beach yoga magic with you!! P.S. join our mailing list @ http://www.outdooryogasf.com for $5 off classes. How does it work? We supply headphones so you can listen to the teacher + and music. Everyone is on the same channel. No need to bring your own headphones. And yes, all levels welcome for yoga practice! No stressing about yoga! Everyone can do it. Class location: Baker Beach. Exact meeting location details will be sent to you when you sign up. What you need: A beach towel or mat, warm layers, and water. Don’t bring your nice yoga mat bc it will get sandy! See more classes + events here!